We are pleased to announce that the Kansas City University of Medicine and Biosciences will have our first combined commencement ceremony for the College of Osteopathic Medicine and the College of Biosciences on May 17, 2014, at the Kemper Arena in Kansas City. Our ceremony will begin at 8 a.m. The new venue will let us celebrate the graduation of all of our students, as well as allow each of our graduates to invite as many family members and friends as they wish. A detailed calendar for the graduation week will be emailed from the office of University Events to all department chairs and to the Classes of 2014. Should you have any questions about this calendar, please direct them to Nancy Jones, executive director of University Events, at ext. 7039 or email at njones@kcumb.edu. KCUMB has made significant strides during the last nine months in support of our Strategic Plan. 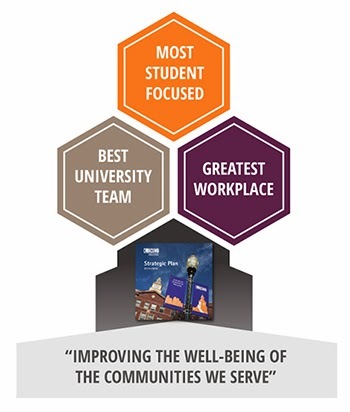 The University community first developed this five-year plan to guide KCUMB’s actions during the 2010-2012 time frame. Read more about our Strategic Plan. We reviewed our progress and set a clear direction for KCUMB as a part of our annual Thanksgiving luncheon and Town Hall meeting. In particular, we identified ways in which all of our team will play important roles in planning new objectives and initiatives to continue our mission of "improving the well-being of the communities we serve." To become the most student-focused medical university in the nation. To build the best university team of faculty, staff and administrators. To create the greatest workplace in the region. These teams will be critical to ensuring the ongoing success of our institution and will pave the way for preparing our institution for its second 100 years of educating osteopathic physicians, scientists and other health professionals. I look forward to sharing more with you about our progress in the coming months. A national panel of osteopathic medical experts recently released a report detailing recommendations for an overhaul of medical education that could proactively address the nation’s imminent physician shortage. 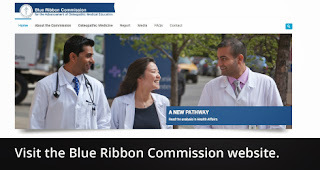 I was honored to serve as co-chair of the Blue Ribbon Commission for the Advancement of Osteopathic Medical Education (BRC). The 24-member commission was formed in response to the nation’s need for a robust primary care physician workforce by envisioning a new model for medical education that will better prepare osteopathic physicians for success in today’s health-care environment. Read more about the BRC and its report in the November issue of Health Affairs, a peer-reviewed journal of health policy and research. In addition to reducing the shortage of primary care physicians, particularly in underserved areas, we believe these recommendations will also help decrease the debt burden of our medical students. While these changes would represent both a disruptive innovation in how we educate medical students and a challenge to our current system of medical education, we believe they are necessary to educate physicians who are ready to address the health-care needs of the 21st century. Physician shortages already affect patients, particularly in underserved urban and rural areas. From 2000 to 2010, there was a 30 percent decrease in the number of medical school graduates entering primary care practice. Today, 60 percent of doctors of osteopathic medicine (D.O.s) practice primary care, and many practice in underserved urban and rural areas. The American Association of Colleges of Osteopathic Medicine also announced an 11 percent increase in new enrollment at the nation’s osteopathic medical schools. KCUMB is experiencing a 14 percent increase as compared to last year, and our graduates traditionally lean toward primary care specialties. In Missouri, 72 percent of our graduates practice in primary care and 40 percent serve in rural and underserved areas of the state. But tradition may not be enough. To ensure that new medical students are interested in primary care and service in rural areas, we must take a hard look at our medical education system and identify ways to prepare current medical students to meet the challenges of the future. We were honored to have outstanding guest speakers this year. Bill Balke, M.D., program director for the University of California San Francisco’s Philippines-California Advanced Research Institute, gave the keynote address on Thursday, and Marco Brotto, Ph.D., professor of nursing, medicine and biological sciences at UMKC School of Nursing, spoke at the awards breakfast on Friday. In addition, Kenna Schnarr’s research also received recognition at the recent 57th Annual American Osteopathic Association Research Conference in Las Vegas, where she received a second-place award. She was one of 15 KCUMB-COM students who presented research posters at the conference, ranking KCUMB fifth among all institutions for the number of posters presented. 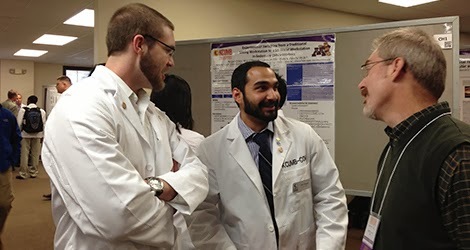 Improved communication is essential to achieving our vision for KCUMB's future. 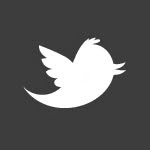 To help streamline communication, I've joined Twitter. You can join the conversation too by following me @KCUMBpresident. It's just one of the ways I'll be staying connected with alumni, students, faculty and staff, as well as friends of KCUMB. The American College of Osteopathic Internists recently bestowed one of its highest honors upon an alumnus of KCUMB who also serves as a member of our faculty. 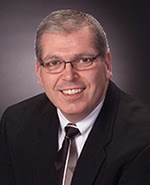 Kevin Hubbard, D.O. (COM ’86), professor and chair of internal medicine, was named ACOI’s 2013 Internist of the Year, in recognition of his contributions to the practice of osteopathic internal medicine. Each year, ACOI presents the Internist of the Year award to a physician who is held in high esteem by osteopathic internal medicine leaders for leadership, development and teaching excellence. He was officially recognized Oct. 11 during the organization’s annual conference in Indian Wells, Calif., and later by the University community at a reception in his honor. Dr. Hubbard is highly regarded by his colleagues, not only as a hematologist-oncologist, but also as a leader in the osteopathic professional and educational communities. He has an innate ability to apply his knowledge with wisdom and compassion, which sets him apart as an excellent physician, role model and mentor for KCUMB’s student doctors. We are honored to have him as a part of our team.